It was reported that Tears were shed this morning for eight dogs who had escaped a life of horror by a miserable owner, only to be left to face Death Today. You can click HERE for yesterday’s story on the Eight Dogs Will Die Tomorrow. After Officials were greeted by a Heartwrenching Situation – Dogs, Crammed into Inadequate kennels, living in their own waste, and starving. Due To The Fact That An Army of Social Networking Individuals on Twitter and Facebook Sprang Into Action – Magic Happened. It was Posted earlier today that all 8 of the dogs were safe. None of these dogs who have lived through a life of horror, starvation and neglect will die today. Bonnie Blue Rescue has stepped in to save the day. But the rescue has not been fully completed, there is still more to do and help is still needed. So that this miracle can fully take place, more help is needed – help for the rescuers who have put their resources on the line for these starved dogs who needed their help the most. A chip-in fund has been created to help this rescue raise what is needed for all of the dogs – vaccinations, worming, altering, food and possibly – heartworm treatment. 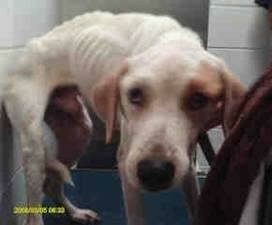 You can watch a video of Lorelei although safe now, the clear evidence of starvation and the look of real sadness. Please take a moment to share this important update on these dogs – let everyone know that they are safe, and please, if you are able, donate to the rescuers who has spared them from death. Every dollar, pound, euro counts – no donation is too small. Thank you to everyone that is working to save these poor innocent dogs. Lorelei and Dexter’s story is simply heartbreaking. 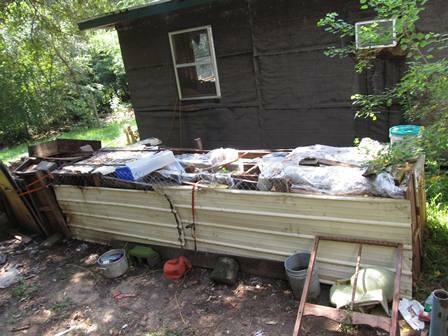 These pups are part of a seizure and pending cruelty case investigation down in south Alabama …. the same area where two other dogs where rescued from just last year. 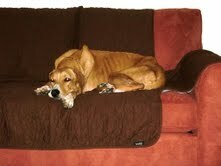 Charges have been filed against the owner for the neglect and condition of his nine redbone coonhounds. 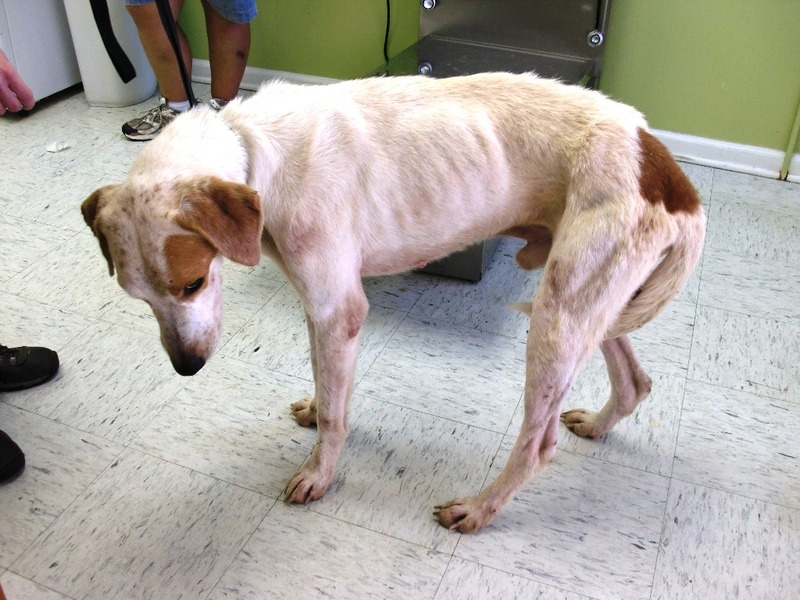 Charges have been filed against the owner for the neglect and condition of his nine redbone coonhounds. Sadly, they were all left to starve to death enclosed in pens surrounded and covered by metal scraps, fencing, cords, plastic and trash. One pup was immediately euthanised after seizure due his severe dehydration and rapid deterioration of his condition. One pup was immediately euthanized after seizure due his severe dehydration and rapid deterioration of his condition. The other pups were sent to the Mobile County Animal Shelter to wait it out until it was their turn to be euthanised. Please do take a moment to share this important update on these dogs – let everyone know that they are safe, and please, if you are able, donate to the rescuers who has spared them from death. Please Every dollar, pound, euro counts – no donation is too small. Thank you again to everyone that is working to save these poor innocent dogs. 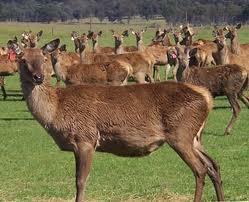 The Article has been written and published by Protection 4 Animals. Protection 4 Animal Supports Banning Puppy Farms. In the UK, leading the fight is BanPuppyFarmsUK run by Veronica Smith. 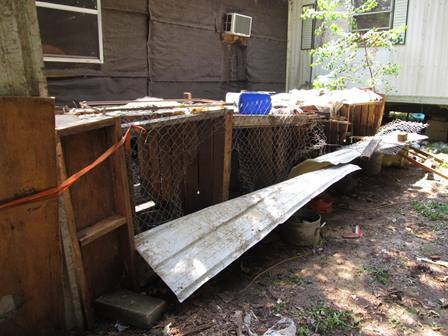 Eight Dogs were confiscated from a home after authorities in the area responded to a tip about poor living conditions. Officials were greeted by a Heartwrenching Situation – Dogs, Crammed into Inadequate kennels, living in their own waste, and starving. 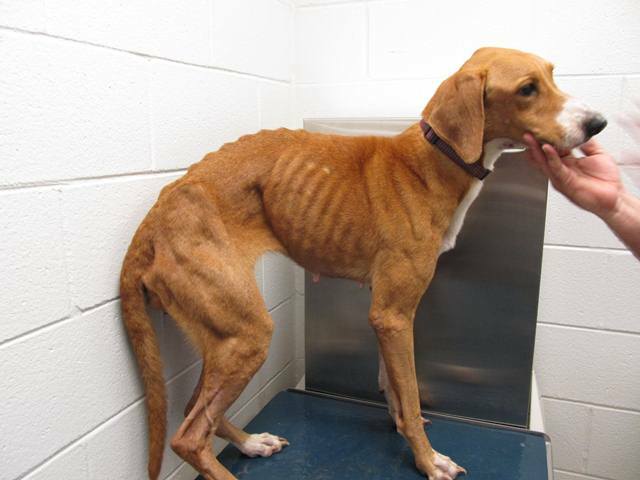 One dog was so emaciated that he had to be euthanized – the other, all skeletal, were taken to the Mobile County Animal Shelter. 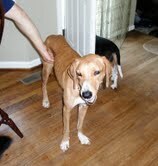 Though the shelter sent out a plea for foster homes to area residents – only two dogs were rescued. Dogs who have spent their entire lives enduring a pitiful existence generated no compassionate interest locally and now, they are facing death. On Thursday, 8 September 2011, if no rescue steps forward, the surviving dogs – dogs who have never known kindness or compassion – will be killed. Dogs that were treated so horribly that their owner, Cheyenne Earl Owens, 44, was sent to jail on 8 counts of animal cruelty. 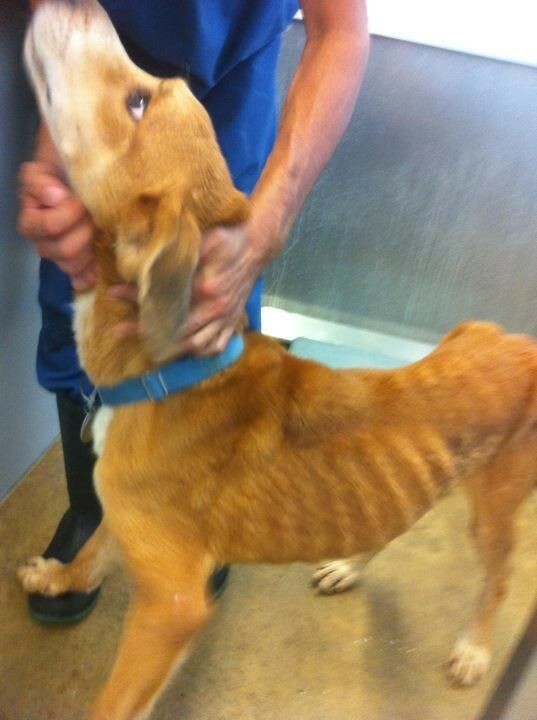 The Mobile County Animal Shelter is required by the State of Alabama to enforce animal control laws. These laws are designed to protect the public’s health, safety and welfare. They also are intended to minimize the suffering of unwanted animals that have been abandoned and have no source of food or medical care. At the same time, the shelter seeks to promote the adoptions of unwanted animals and to provide the highest level of care for those in its custody. Its shelter at 7665 Howell’s Ferry Road provides segregated kennels to accommodate stray dogs on 7-day hold, dogs that are quarantined due to illness or bites, and adoptable dogs. It also provides a separate area for cats. 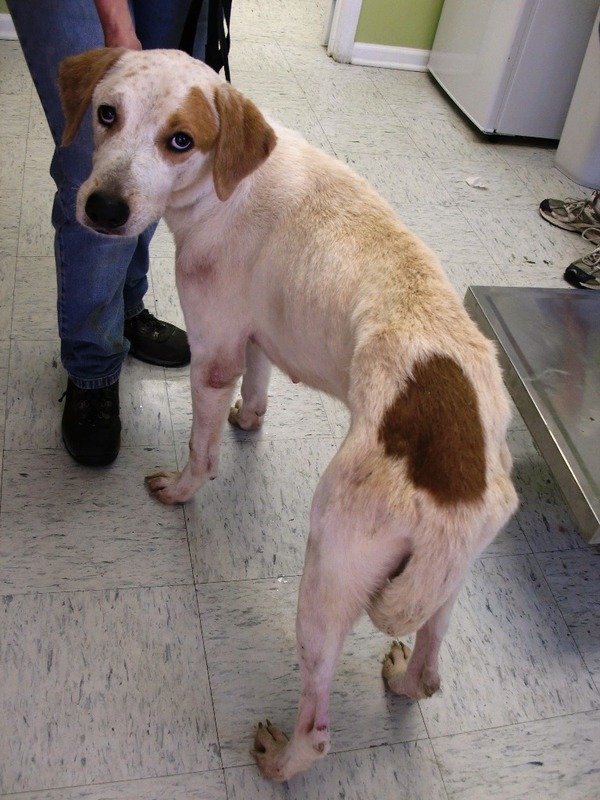 In addition to control and adoptions of unwanted animals, the Mobile County Animal Shelter is charged with investigation of animal cruelty and dog bite cases.